I have created this site to give you an accurate and in-depth knowledge of natural crystals and their uses in healing the mind body and spirit. I have also included information on colour healing, raising your Kundalini Energy through yoga and other informative sections. To find out information on this site about a particular crystal or topic that you are looking for, please use this search box. Information derived from the ancients and from archaeological discoveries in India, Chaldea, Mesopotamia, Egypt and ancient Greece indicate that the art of crystal healing has existed within humankind from its very beginnings. For several thousand years, the art of crystal healing has always been seen as a natural part of medicine, a tradition that continued in the West until the Renaissance. Things are different today. Following the developments in modern science and associated fields of study, it is clear that all bodies (living beings and inanimate objects) exchange forms of energy with their surroundings. Light, heat, and other kinds of radiated electromagnetic energy are absorbed, transformed and released again in this way. Crystals do also resonate with their own energy signatures. Depending on the mineral, they display a measurable oscillation across the entire range of the electromagnetic spectrum. Even if the energy levels of crystals are of relatively low intensity, they still have a discernibly great impact because their magnetic resonance is both harmonic and continuous. ​​I. E. FOUR APPROACHES WHICH, IN PRACTICE, COMPLIMENT AND ENHANCE EACH OTHER. This detects the healing effects and the practical applications of crystals by following what can best be described as an "inner feeling". Using both intuition and trained powers of observation, very subtle changes can be perceived as soon as a healing crystal is touched on, placed on or worn on the body. If you can sense and then follow the positive, strengthening reactions, when performing these actions, you will be able to detect the correct crystal without any theoretical knowledge. ​This deals precisely with such further explorations. By the means of dowsing measurements, where divining rods or pendulums are used and by the means of kinesiological muscle testing ('kinesiology' - the study of the mechanics and anatomy of human muscles), the subjective feelings described above can then be made more objective - which organ, which energy pathway (meridian), or which other physical, emotional or mental function responds to this crystal can be tested quite accurately. In this way, individual reactions to a specific healing crystal can be very quickly verified. ​Another method where not only the effect of specific healing crystals on the individual is investigated, but, basic principles can also be identified, by the comparison of many individual effects in research groups. It has been stated as fact that both the geological formation of a crystal, its molecular structure, the minerals it contains and its colour each contribute independently to its healing effect. With the knowledge obtained from these principles, it is possible to identify the exact healing crystal for a specific human being in a particular state of health or life situation. ​This is built on experience from the other three methods and focuses on those practical applications that have been confirmed repeatedly in treatment practice. Here, no individual method or theory stands alone in its practical effectiveness. In effect, after an interruption of over two to three hundred years, a valuable tradition is being revived and redeveloped - and the circle of people who are contributing their experience is becoming ever larger. The aim of the different methods of application is to make the crystals work as efficiently as possible. 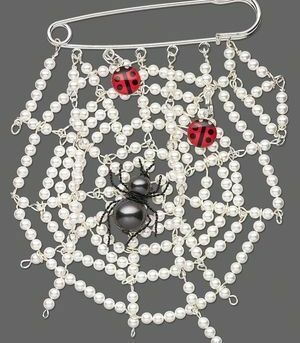 Sometimes, it is necessary to confine the application of the crystal to a limited area, so that it becomes preferable to place or wear a crystal on a particular part of the body. If an overall effect on the whole body is desired, it often makes more sense to spend time in a circle of crystals for longer periods, or to take a gem essence. A wide range of practical applications have been developed in the light of all these different requirements. ​​If a crystal is placed or held on specific parts of the body, a localised effect is usually obtained. In this way, a specific organ can be stimulated or calmed, while others remain unaffected. The crystals can also be fixed with adhesive plaster, placed inside a bandage, or even fixed into specific articles of clothing. ​A local effect can also be obtained if you carry healing crystals in the form of bracelets, necklaces or pendants worn on a very specific area (e. g. over the heart, over the thymus gland, etc). On the other hand, necklaces or bracelets worn uninterruptedly for long periods will, in turn, have a general effect on the whole organism. Their effect is then spread through the blood, nerves and the energy pathways to the whole body. ​i. e. where the whole connective tissue, the lymph or the blood system is affected. ​Crystals which are placed in your surroundings also have an effect on the whole body. Such an external influence can be obtained when crystals are placed on a work desk or in your home. The advantage is that only a part of your life is affected by a specific crystal. Crystals placed under the pillow - or arranged in a circle, for example, around the bed - are good examples of this kind of application, as is the idea of generally spending time sitting or lying, inside a circle of crystals (raw or tumbled stones). As the size of the crystals and the diameter determine the effect, one can adapt these to accommodate personal requirements. Furthermore, the whole body can be affected by drinking crystal water or a crystal essence. Whereas external application has a rather localised effect (e. g. by rubbing the gem essences into the skin), this can have a much wider effect. Crystal water is made by placing crystals in water for a period of time ranging from a few hours to a number of days. Crystal essences, on the other hand, are made by placing crystals in water or alcohol for a longer period, or by means of special procedures that differ from one crystal to the other. In Healing with Crystals you will find out that the crystals and stones that you use, and which ever way that you use them are generally related to the chakras of the body and the Kundalini energy that flows through them. Crystal healing centres on the energy of the body and the energy of the crystal. When they are aligned, healing may occur. Crystal healing is used in Reiki, Meditation, Dowsing, Pendulums, Auric fields, Kinesiology, Tapping, Reflexology and much more. Or you can simply wear a piece of jewellery or carrying a stone around with you as stated above. They realign subtle energies and dissolve disease by getting to the root cause of the problem. Crystals work through vibration re-balancing the physical body by activating the chakras. Most illnesses result from a combination of factors. There are the diseases that are subtle, emotional, mental, spiritual disconnection or electric disturbances. Crystals aid healing in a gentle way by eliminating the cause of the disease rather than the symptoms. You can lay crystals in your hand, around your body or on your body while meditating. Crystals are used in Reflexology by using wands or eggs on the reflex points located on your feet and hands. Rotated gently they can ease pain and help heal the mind and body. Prior to doing a healing find the crystal/s that you need. ​You can find this out by going into the crystal healing section and finding out what crystals are recommended or go to a crystal and find out what healing qualities it has. ​Amethyst in the form of a crystal, piece of a drusy, section/slice, (drilled) tumbled stone, bracelet, necklace, pendant, gem stone, gem essence, gem water will help with abscesses, acne, tired eyes, eye diseases (general), nystagmus, blisters, high blood pressure, intestinal problems, diarrhoea, birth, haemorrhoids, skin care, homesickness, insect bites, itching, headaches, melancholia, migraine, neck tension, dermatitis, bruising, squinting, sleep problems, dandruff, sun burn, sensitivity to temperatures, grief, muscle tension, warts, bedsores and tick bites. Crystal water is made by transferring the subtle energies and minute concentrations of the mineral constituents of the crystal into distilled water. Crystal water is an excellent way to use the healing power of crystals. Crystals can be combined when making the water, just make sure that they are compatible by doing a dowsing test. Crystal water isn't preserved and looses its effectiveness over a 24 hour period if you wish to keep the remedy longer the crystal water needs to become a crystal essence. Crystal Essence is Just like all other homeopathic remedies. The Crystal Water is bottled with brandy, vodka or cider vinegar which then preserves it for later use. ​There are two methods in making crystal water, this is because some stones are toxic and must not have direct contact with water. ​For using within 24 hours just use the water as needed, pour into a bottle and sip it through out the day, put some in a bowl and bathe the affected area or put it in a spray bottle and spray any rooms or out door areas that need the remedy. If you are not going to be using the water within the 24 hours or you wish to use it as a homeopathic essence then it needs to be preserved. Place in a clean bottle 1/3 Crystal water to 2/3 vodka in an airtight bottle. Real gemstones are just that, real and natural, as they were created in nature. Often natural gemstones must be treated by various methods to make the colour appear as we would expect them to look. Some treatments are permanent and some are not. For an example of gemstone treatment, Tanzanite in its natural state is a brownish colour, but when heat treated, Tanzanite becomes the beautiful blue-purple gemstone that we admire. Tanzanite was first discovered after a lightning strike hit a surface deposit of Tanzanite, in Tanzania, Africa. Laboratory created gemstones are made of the same mineral composition as natural gemstones, and are created in laboratories with equipment that simulates the high pressures and heat that nature used to created the real gemstones far beneath the surface of the earth. A laboratory created gemstone is identical to the natural gemstone it replicates it in every way; colour, hardness, composition, lustre, looks etc. The only difference between a lab created gemstone and a natural gemstone is that the natural gemstone most likely has flaws called inclusions, and laboratory created gemstones have no inclusions, as the mineral composition, heat, and pressure are controlled in the laboratory. Having no inclusions in a perfect lab created gemstone sounds favourable, however too perfect can sometimes look unnatural or phoney. The flaws or inclusions in natural gemstones are caused by minute traces of minerals that are trapped within the gemstone during the gemstone's crystallisation process, and are the result of certain extraneous gases and other minerals being mixed in the molten mass prior to its cooling and crystallisation. Natural gemstones with fewer inclusions are given a higher clarity rating, and thus a higher value when being appraised. It seems odd that when comparing the price of a laboratory created gemstone which is flawless, against a natural gemstone which has inclusions, that we would knowingly pay for a natural gemstone, many multiples of the price of an identical flawless laboratory created gemstone, but this is a result of our culture, and the the jewellery industries marketing efforts. Remember a laboratory created gemstone is identical to a natural gemstone, except that the laboratory created gemstone is flawless. Because of the high price of natural gemstones many gemstones sold today are laboratory created. Sapphires and Rubies are in the Corundum family of gemstones, and are fairly easily created in the laboratory, therefore laboratory created Rubies and Sapphires are very common. Emeralds and Aquamarines are in the Beryl family of gemstones, and Emeralds and Aquamarines are not easily made in the laboratory. Laboratory created Emeralds are very expensive to make, and not commonly found in jewellery, however laboratory created Aquamarines are not as expensive to make as Emeralds, and it is not uncommon to find them being made into jewellery. Simulated gemstones are created in a laboratory environment, but they differ from natural gemstones and laboratory created gemstone in many significant ways, and are only made to look like a natural gemstone. Simulated gemstones in most cases do not have the same mineral composition, colour, hardness, lustre, or looks of a natural gemstone or lab created gemstone. Most low cost jewellery is made with simulated gemstones due to the fact that simulated gemstones cost less than laboratory created gemstones. If you wish to use your crystals for healing please use stones that are classified as natural or created. Although only natural and created are for healing, all the types of crystals and gemstones can be made into Jewellery. ​One thing that needs to be established at the beginning of your search for healing is, are you under a Psychic Attack, because a psychic attack can produce symptoms of normal complaints like migraines, fatigue, mental psychosis, schizophrenia etc. 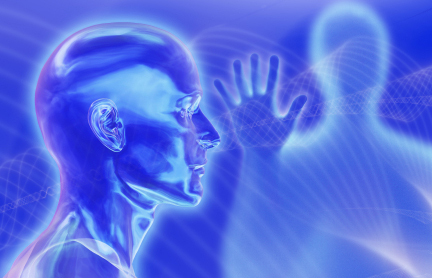 ​There are three basic types of psychic attacks to contend with. The basic every day negative comment variety; the malicious and hurtful intentions variety and the full on hex, curse or continuous ill-wishing variety. The first of these psychic attack varieties, the negative comment or negative energy type, is indeed the most prevalent and are relatively easy to combat. But they should not be taken lightly. Many a healthy and highly developed spirit has succumbed to the cumulative effects of repeated exposure to common negativity. Following are some examples of common negative comment attacks. "Another day, nothing ever changes"
"The world is a nightmare"
"Those lousy neighbours are a bunch of idiots"
And so on, there's no end to the list of negative comments that we may be exposed to every day. At first it may seem that comments like this are rather harmless, but is important to remember that all thought creates energy, it is this energy which effects us, perhaps more than the content of the original message. It's also important to note that many times these types of attacks are not directed at any one person in particular, rather they are just put out into the universe and we happen to be exposed to them. Awareness and vigilance are the keys to blocking the effects of these sorts of negative energy bombardments. Listen carefully to the babble going on around you. Most of the time our awareness of negative comments functions in auto-pilot mode; our mind is constantly filtering information. We absorb a great deal of negativity without ever being fully aware of it. The second most common type of psychic attack, the malicious and intentionally hurtful variety is different from the random negative comments; these attacks are directed specifically at you. They are designed to cause damage to your spirit; they are designed to instil anger, sadness and misery. These types of psychic attacks can come from any number of sources but most often they are the result of failed relationships or jealous acquaintances. Attacks of this nature can best be thought of as, hand to hand combat. When under psychic attack, or rather when large amounts of negative thought energy are being directed at us our life energy form usually absorbs the attack just as it would any other energy that it comes into contact with. The spiritual form does not discriminate among types of energy it merely interacts or reacts to whatever energy it comes into contact with. A negative energy attack manifests itself in the physical and mental self as depression, withdrawal, headache, stomach upset and an assortment of other ailments. As always, a strong and healthy spiritual energy is the best defence against any type of spiritual assault. Unfortunately, most of the time we are unable to distance ourselves from the source of spiritual attacks long enough to allow our natural life energies time to rejuvenate. In these cases perhaps the most practical and effective means of psychic protection is the creation of what can best be described as spiritual shielding. The third most common form of psychic attack is the hex or curse. These forms of attack consist of universal energy which has been manipulated to cause harm, energy which has been gathered and collected to form what can be considered a negative energy wave. This type of attack is ongoing or perpetual, unlike other forms of psychic assault, which rely on a symbiotic relationship with other energy forms in order to exist, these attacks are self sustaining and powered by a different source than most of the common fear-based negative attacks. Destruction of the spirit is the goal of the curse or continual negative energy wave. This type of energy is known by many names in many cultures but is most commonly known and referred to as "evil". As already stated, the energy of evil does not require the fuel of other negative thought forms. Instead, it seeks to feed on the energy of the spiritual self directly. It seeks to consume the entire field of the aura and replace it with a mirror image of itself. Those who wish to harm us are sometimes able to combine the emotional energies of any manner of destructive intentions in order to manifest the soul devouring energy of evil. If the manifested energy is not able to cause damage at first strike it will continue to attack until it finds a weakness in your spirit to exploit. Although this form of negative energy is the most destructive of the three common varieties of negativity it is by no means all powerful and consuming. Tiredness. Fatigue. If you suddenly become very tired, even weak feeling when you're with a particular person, in a particular room or place, this is a sign that you're being drained of psychic energy from your aura. Headache. After being with a person, in a stressful situation, or place, and you suddenly develop a headache out of it, this can be draining of your energy taking place. And interestingly enough, when you get away from this person, your headache goes away! Drained feeling. You can spend five minutes with this person and walk away on weak knees and feel as if you are going to have to crawl to your car or home. You can barely walk upright. When this happens, it usually takes a couple of hours or a good night's sleep, to recover from it. Icy cold feeling physically on some part, or all of your body. When your aura is being drained, you can physically feel like you're freezing. A clenched knot feeling in your stomach/solar plexus area. If you walk into some place and your solar plexus snaps shut, when a particular person approaches you; beware. You are being given warning that this person is dangerous to you. Our solar plexus is the seat of our fears/anxieties/repression and suppression. If you feel suddenly weak or shaky, get away from this person or activity. Anxiety and Panic Attacks. Many times, we get drained and siphoned from and don't even realise it until much later. The reaction then becomes an anxiety reaction or sometimes, a full blown panic attack because on a subconscious level, you are reacting to the assault like any normal person would. If you have such a symptom, then think back several hours or 1-2 days before and carefully go over who you met, where you were at and try to pinpoint the possible psychic attack. Depression. Long term psychic attacks by an individual or group that does this cyclically for weeks or months on end, can end up making you feel morose, sad, hopeless, listless and like life isn't worth living at all. This is a serious attack and will need serious help in the form of a shaman to catalyse the break-up of energy and disconnecting the lines from your aura. Afterward, your "old jaunty self" will return. Shaking and trembling. This reaction usually occurs during or after an attack. The person may or may not realise why s/he's suddenly shaking. From a subconscious level, where the assault is realised, this is a perfectly normal reaction because, whether you knew it or not, your adrenaline is flowing high and fast--the "fight or flight" hormones. A part of you wants to run. Usually, in this type of situation, you don't connect consciously with what is really going on subliminally between you and the psychic assaulter--until later. Pessimism If you are normally an optimistic or idealistic person and your thoughts suddenly turn rancid, pessimistic, hopeless, angry, irritated, impatient, then you need to understand that this isn't the 'real' you, but you are reacting to something that you may not consciously realise that is going on. During long term attacks, a person can literally, change personality from an sunny, extrovert person to a moody, morose, depressed, negative individual--but it happens over a number of weeks or months and they really don't see it happening. It is usually brought to their attention by the spouse or family members. Loss of Confidence. If you were once a fairly confident individual, but over weeks or months of time, it is eroded way from you until you feel like a scared, vulnerable little rabbit out there in the Big, Bad World, then someone may, indeed, be chipping away at you psychically. Victim Mentality. A person gets into this state when over a period of weeks or months they begin to feel hopeless and helpless. Combating psychic attack is relatively easy as it is your own mind that is adding fuel to the fire, meditation and an awareness of destructive comments and attitudes around you, will go a long way to addressing the problem. We all have a sage in the family that said "If you don't have anything nice to say then don't say anything at all" no truer words have been spoken. Putting your angst into the universe isn't going to lessen your own or others issues and receiving it will only make you suffer. After identifying that it is a psychic attack, you use crystals to combat the physical symptoms and meditation to ease and calm the mind. These and the acknowledgment that you are under attack will help. 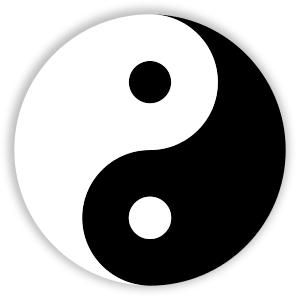 The symbol has two colours, White and Black which symbolise nature's balance of forces such as Good and Evil, Up and Down, Light and Dark, Male and Female, Life and Death, etc. ​Basically, this symbol represents the positive and negative forces in the Universe. This symbol has been used in Asia for a long time, and has become used in the rest of the world. How two opposite things are somehow one. It could also mean the good in the bad and the bad in the good. ​When healing yourself or others you have two choices do you want to reduce or increase the physical, psychological or spiritual situation that you are currently experiencing. Yin and Yang crystal energy can help you with this decision because Yin Energy within the crystal increases something and the Yang Energy within the crystal decreases something. If you or your client is feeling angry and abusive for no apparent reason and all the time. You can use a yang crystal to reduce the anger or a yin crystal to increase calm. If you select both a yin crystal and a yang crystal they will combine together and bring you more quickly to a balanced state. The easiest way to determine wether your selected healing crystals are Yin or Yang, is to perform a dowsing and ask your yes/no question as "Is this a Yin Crystal" or "Is this a Yang Crystal". When you look in a mirror and really look at your body and face, you will notice that there are subtle differences on each side of your body. Ancient wisdom states that the differences are there because the right side of the body is masculine and the left side of the body is feminine, and for your body to be in homeostasis you need to embrace both sides of your nature. Intuition, feelings, nurturing, openness, and unselfishness govern the feminine side of your nature. Logic, facts, self-interest, ambition, pride and honour govern the masculine side of your nature. If you are giving too much to others to the detriment of yourself, your feminine side may be overactive and your right side may need strengthening. If your life is too rigidly structured, your masculine side may be overactive and your left side may need strengthening. You may find that most of your physical problems occur on the left side of your body, this could mean that your female side is out of balance or on the other hand, if you notice a lot physical problems on the right side of your body then this means that your male side is out of balance. Just noticing an imbalance is the beginning of healing. 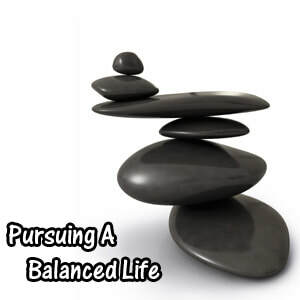 Some imbalances may be long-standing, and it may take time to bring your system into homeostasis. Money flows to me easily and quickly. My business moving along in leaps and bounds with abundance and customers coming to my site in droves.